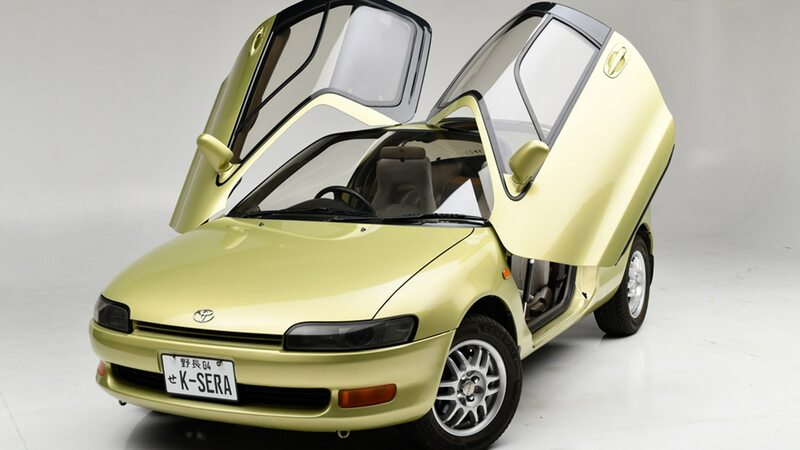 We’ll forgive you for never having heard of the Toyota Sera before. Sold new only in the Japanese domestic market between 1990 and 1995, the Sera (meaning “will be” in French), is a front-wheel-drive sports coupe with a 1.5-liter inline-four engine up front. That may not sound terribly exciting, but just look at those doors! Gordon Murray was so taken by them that he borrowed the design for the McLaren F1. You probably can’t afford a McLaren F1, but you probably can afford a Toyota Sera. And if that’s the case, Barrett-Jackson is offering this 1990 Sera at its 2019 Scottsdale auction later this month. 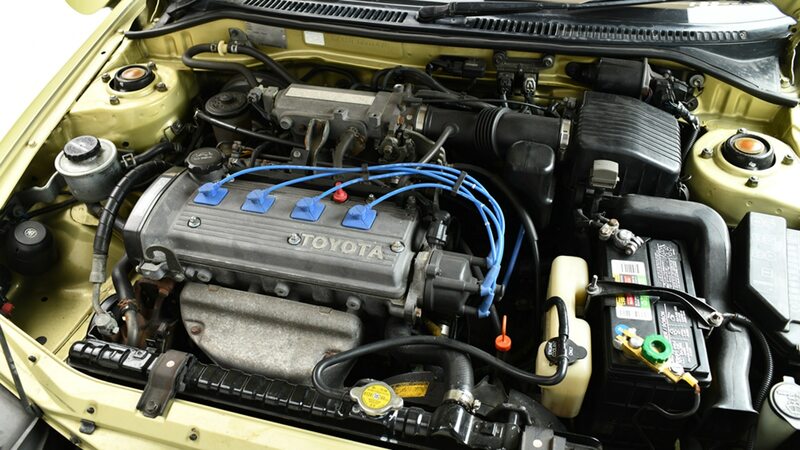 A first-series car, this one looks to be in great condition making us wonder if the 75,000 miles Barrett-Jackson says the car has logged are actually 75,000 kilometers—after all, this is a Japanese-spec vehicle. While Seras were available with a five-speed manual transmission, this one has the optional four-speed automatic gearbox which was probably more relaxing for the commuting miles this example probably saw in its native Japan. With 110 horsepower and 98 lb-ft on tap, we doubt the Sera is going to set any land speed records. 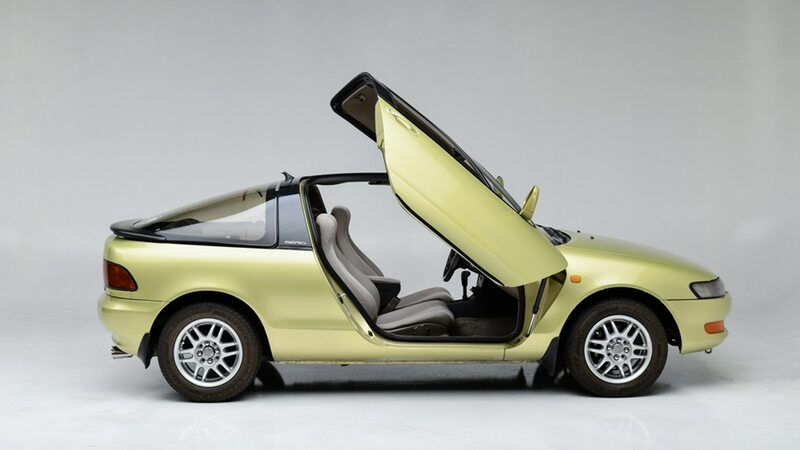 Then again, with a curb weight of just over 2,000 lbs, a Sera weighs roughly what a first-generation Mazda Miata does. 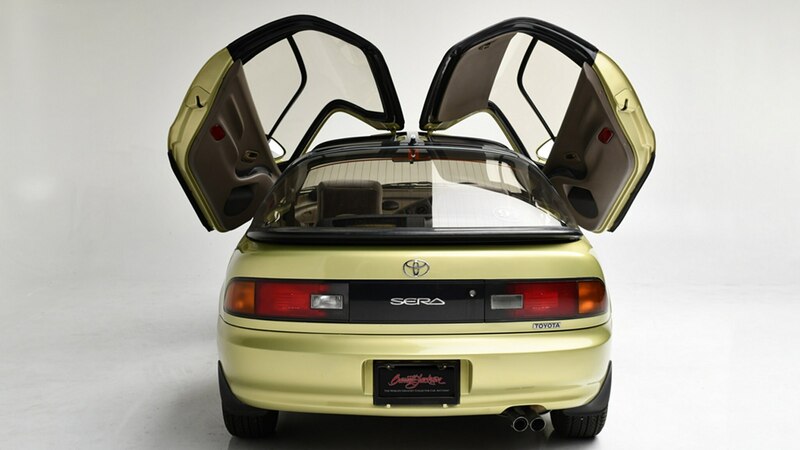 The Sera’s underpinnings are based around the Toyota Paseo, which was sold in the U.S. market, with disc brakes up front and drums in the rear. 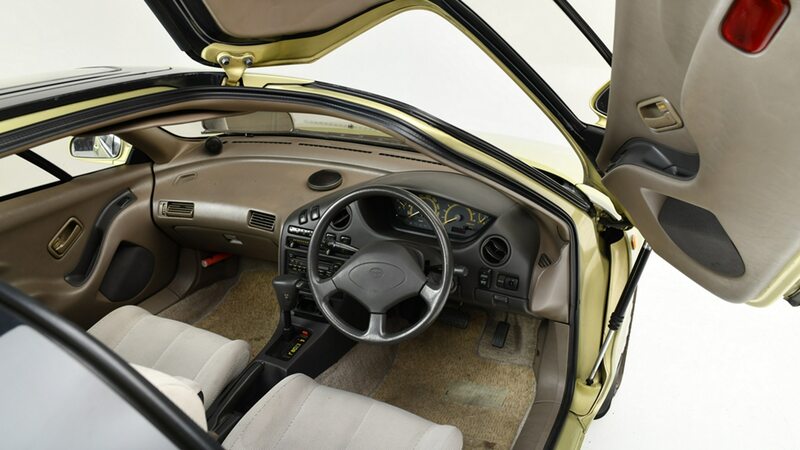 This Sera has a number of features that were pretty luxurious for 1990, especially in this class of car, including rain-sensing windshield wipers and parking sensors. This example also has the optional and desirable 10-speaker, Super Live Surround Sound premium stereo. According to Barrett-Jackson, this is one of the first Seras to be built (of some 16,000 total cars) and the first one to be imported to the U.S. under the federal 25-year importation law. You can rest assured the new owner will likely be the first to show a Sera at the local cars and coffee.